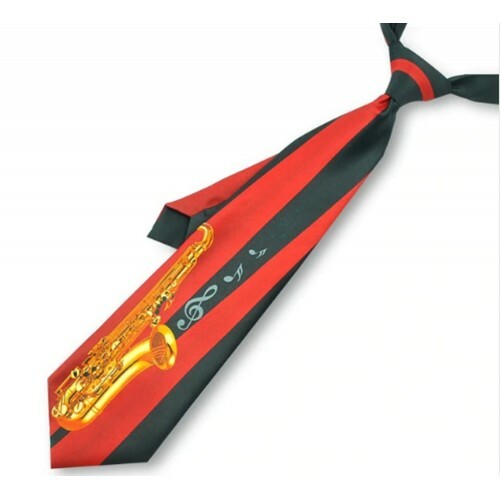 Tie with a red, shaded background, depicting a very realistic sax in various shades of orange and yellow. A black band starts from the sax on which there is a treble clef and two notes, in silver color. The tie is made of polyester and handmade.